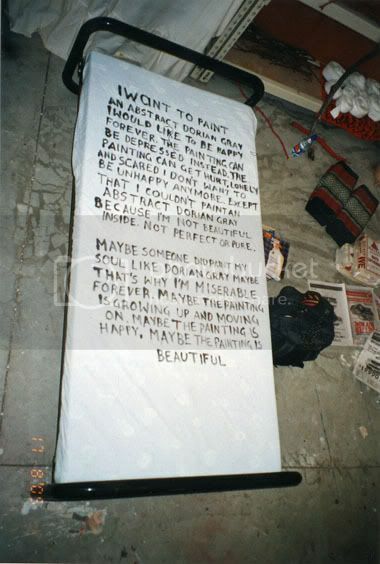 “I want to paint an abstract Dorian Gray. I would like to be happy forever. The painting can be depressed instead. The painting can get hurt, lonely and scared. I don’t want to be unhappy any more. Except that I couldn’t paint an abstract Dorian Gray because I’m not beautiful inside. Not perfect or pure.